A lot if you try to do it yourself. So many businesses think that bookkeeping, accounting or tax services are expensive. This leads many to think they can do it themselves. Add in the fact that there are numerous desktop and online solutions for these services that are constantly promoted and the illusion that this is a do-it-yourself task is increased. And, yet, those also cost money which can influence one to just avoid it all together. The worst thing a business owner can do is to try and do bookkeeping themselves or not at all. Let’s look at some real examples (the names, of course, have been changed, but the facts are true). What Happens If You Keep No Books for Three Years? Sort the receipts into categories, making sure that business and personal as well as deductible and non-deductible items are separated. Keep in mind that receipts should include a business purpose, and if they don’t, the deductibility of the item becomes questionable. 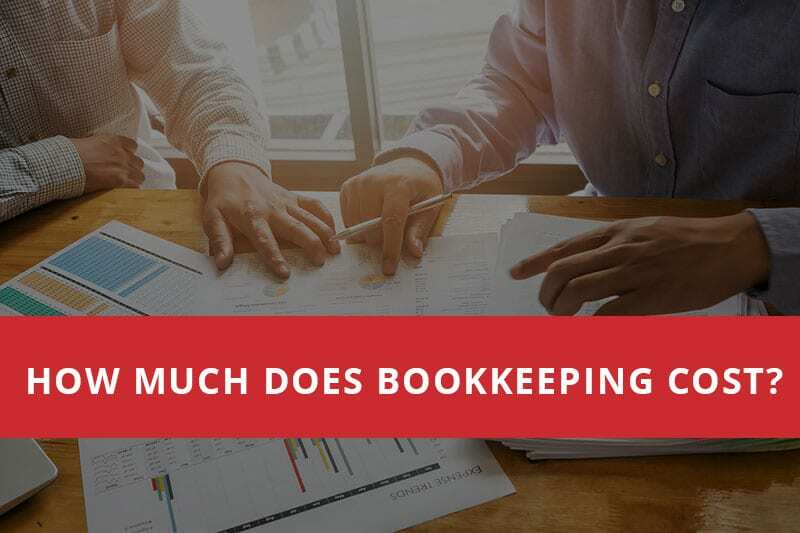 The accountant is not going to guess at this, so the business owner has to spend time going back through any receipts in order to ensure their deductibility or validity. This should have been done on an ongoing basis to be most cost effective. Total the receipts by category. Show sources of income. Oftentimes this can be done through bank statements, but they still need to be totaled. Prepare the financial statements and/or tax returns. In this case, the entire procedure took a significant amount of time by the bookkeeping staff of the accountant. The cost to the business owner was over $4,000.00. This does not include the thousands and thousands of dollars in tax penalties and interest that were incurred by not filing the tax returns and paying the taxes on a timely basis. If the business owner had made the commitment to having a proper set of books from the beginning that tracked his transactions on a timely basis (getting the numbers right) and categorizing them into a financial statement, that would be acceptable to a lending institution and for the preparation of the tax returns, there would have been a significant savings. Over a three year period, the total fees would probably have been less than $3,000.00 not to mention the savings from timely tax preparation and planning. Furthermore, an accounting firm that helps with bookkeeping can provide valuable insight into the business that can help maximize its profit and manage its cash flow which, although difficult to place a dollar value on, can undoubtedly provide an economic benefit to the firm. The estimated cost of not using a competent professional such as a Certified Public Accountant was about $15,000.00. There are many options available to do desktop or online (cloud) bookkeeping, the latter being the trendy new thing. These are marketed as do-it-yourself solutions that will save the business time and money. Maybe, if they are used in the right way. The first thing to be aware of is that these are tools that are primarily used to manage and record transactions, and for that purpose, most are very good if properly set up and the person using them is properly trained in how to use the program. And that is the problem. In our first example, a law firm decided to do their own books. Now I think we can all agree that most attorneys are pretty smart. That doesn’t make them good necessarily at keeping their books, even with a piece of software that is supposed to do it for them. In this case, the business owner just installed the software and allowed its automatic features to decide where to put things. It also had a function, which most of these programs now do, to accept payments through a cell phone. The problem is that the software was deciding where the transactions should go, and since some attorneys have to hold funds they receive in trust until the work is done and the software isn’t set up to properly figure that out, then serious problems can occur. The books balance, but are they accurate? In this case, they weren’t. In the course of getting the tax return prepared, these potential discrepancies were discovered by the accountant. This resulted in many excess hours spent by the accountant trying to reconcile the trust accounts so that the attorney would not face disciplinary action by the State. The second situation is a firm that used an industry specific billing and management program to manage the day-to-day operations of the business. The problem was that it didn’t provide meaningful financial statements for management to use in its decision making process. It also didn’t interface with the popular accounting programs available, so someone in the firm had to enter the information from the billing program into the bookkeeping program. The result was that a relatively easy process turned into a nightmare because that person didn’t know how to use the program or understand basic bookkeeping. The fees to have an accountant fix this bookkeeping problem would have run into the thousands of dollars, but the firm decided to try and fix it themselves. The ultimate cost is uncertain at this time. The solution to these somewhat similar situations is to once again engage a competent professional. There is nothing wrong with using one of these computer programs. But the cost, in both of these situations, of fixing the problems ran into the thousands of dollars and could have been far less in the long term if the following steps had been taken with the help of an accountant to avoid these bookkeeping mistakes. Have an accountant analyze your business and design a chart of accounts that is tailored specifically for your business (and can usually be imported into the program). These programs simply make assumptions but can’t get down into the real needs and nature of a business. If you think you have to change things the accountant has set up, consult them first. This includes using add-on services, especially with cloud based programs, which may change what is set up on their own. Have the accountant train you in the use of the software. Yes, this costs money but is well worth it compared to the cost of fixing it later as we have seen. Have the accountant monitor the activity on a monthly basis to ensure that the person using the software is doing so properly and the information generated is meaningful. Have the accountant provide some analysis and insight as to what the numbers mean and how they can be used to maximize profits, manage cash flow and legally minimize taxes. Have the accountant help plan and prepare for taxes so that penalties are eliminated. Bookkeeping and accounting services for small businesses can be found for just about any price. A reasonable range might be $35 to $100 per hour, depending on what services are required, the staff assigned and the experience and qualifications of the professional involved. As with anything, you generally get what you pay for. It is also true that it is far more costly to fix problems than to prevent them. Qualified competent professionals, such as Certified Public Accountants, can be found at all price ranges so seek out one that understands and meets your needs at an investment that makes sense in the long run.